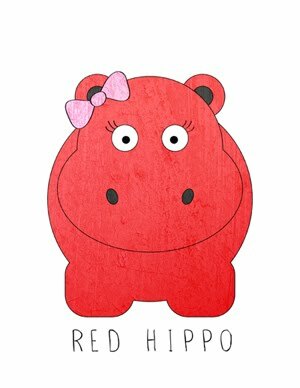 Red Hippo: Maternity clothing. Humppphhhh. I did the saddest thing today. All of my beautiful clothes...the ones that won't fit me for the next nine or so months- I packed them up. Tony, Easton, and I will be moving this summer, so I saw no reason to keep my lovely (unwearable) clothes hanging in closet. They just made me sad, anyway. It's really amazing how fast this belly has grown and how tight my favorite dresses, pants, and blazers have gotten already. During my pregnancy with Easton I wore my regular clothes through most of my pregnancy. This time around, I've had to hit the maternity clothing websites early on and get-to-shopping. #1- if it doesn't look flattering on the size two (fake) pregnant model, it won't look flattering on me. #3- if I wouldn't THINK about buying the garment when I wasn't pregnant, I shouldn't buy it just because it's maternity. It's important to wear clothes that make me feel good and represent my style even when I'm pregnant!! I love the Hatch Collection, and bought a few of these pieces...although none of the shirts/skirts I bought were in the horizontal stripe. The greatest thing about this clothing line is that all the materials are UBER soft and are designed for wear before, during, and after pregnancy. Pretty neat, huh! I've also just made a big purchase at ASOS , an online store that has some really trendy and inexpensive maternity clothes. The saddest part of being pregnant is when you're most gorgeous outfits no longer fit you. I can totally relate with you and there's nothing you can do but to find clothes that will make you feel good and beautiful and sometimes that just don't happen. Anyway, all the clothes featured here are totally rocking! I didn't know that the pattern of horizontal stripes is a big no-no. It's because I have this blouse with brown stripes. I used this before I was pregnant and when I was pregnant. My coworkers would comment that when they look at my back, they wouldn't think that i was pregnant. It's when they look at my front that they will see the bump. Oh well, I will just follow your advice. I'll just make sure to take advantage of special offers if the style is me. Right?